Skiing is a fun activity enjoyed by many throughout Massachusetts and the New England area, even with winter coming to an end in our area. Buses are still leaving from Boston to take skiers up to Maine for a weekend of skiing. 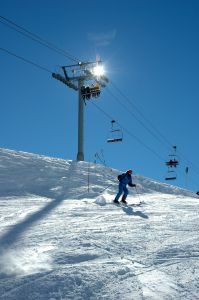 According to a recent news report from Fox News Springfield, seven people were injured in a chairlift accident. A mountain spokesperson said four of the injured were taken to taken to a local hospital for treatment, and first responders at the ski area attended to the other three. According to reports, there were 200 skiers on the lift at the time of the accident. The lift was a “quad” designed to carry four riders on each chair, with multiple chairs suspended from a moving cable. For reasons still under investigation, the chairlift abruptly stopped moving up the ski slope and started to move backward. There is supposed to be an automatic braking system to prevent what is known in the industry at “rollback,” but these systems did not properly engage. The lift also contained a manual caliper brake that a lift attendant was able to engage, and the chairlift eventually stopped its rollback. Witnesses say the lift rolled back a distance of about nine chairs before coming to a complete stop. Inspectors say the failure involved a gearbox connected to the ski lift’s motor designed to drive the large “bullwheel.” The bullwheel is what turns the cable to which the chairs are attached. When this failure occurred, it disabled the lift’s primary anti-reverse brake designed to prevent rollback. The secondary anti- reverse device also failed, as did the final automatic system know as “drop dog” brake. Investigators do not know why all three safety features failed to preform as intended and believe it will take extended analysis to determine why this accident occurred. In total, the emergency crews evacuated the quad lift of 203 riders, once it was finally stopped. It should be noted that lift operators are required to check the oil level on the gearbox at the beginning of each day, and this particular gearbox, which was repaired a few years ago, passed routine maintenance procedures the day before it failed. Witnesses say those who were injured were forced to jump off the chairlift as it picked up speed and headed towards the concrete base station, which ultimately caused their injuries. People below, watching what was described as complete chaos, saw chairs flipping up in the air with riders screaming and told those on the chairlift to jump to the ground to avoid being killed. On one chair, three of the four riders had jumped, and there was one kid still on the chair just looking around not knowing what to do, according to one bystander. As our Boston personal injury attorneys can explain, amusement ride injuries can be very serious. They can also involve a lot of litigation. There may be multiple defendants, including ride manufacturers and operators, as well as those who serviced the ride. If you were involved in an accident at a ski area, one of the most important things you can do is make sure you are seen by personnel on scene and a report of your involvement in the accident is created.